Rane is a local company that creates state-of-the-art DJ equipment, favored by some of the biggest names in music including DJ Jazzy Jeff, FatBoy Slim, and DJ Z-Trip. While their website was functional, it had begun to feel a little outdated after almost eighteen years of use, and they approached us with a desire to revamp their online presence. 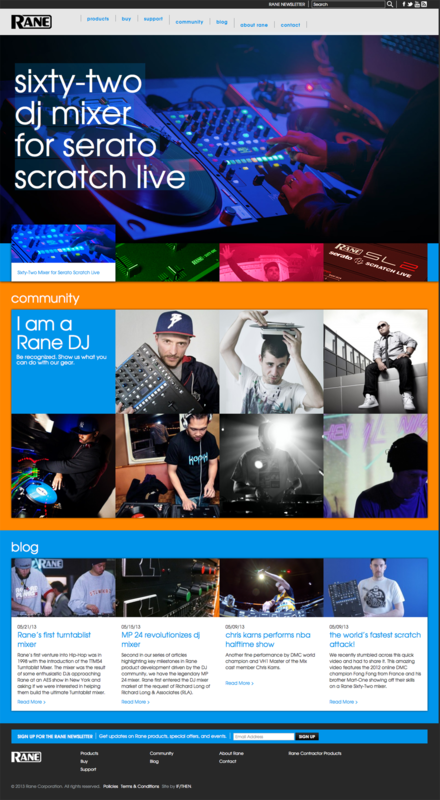 The need was largely for a website that more accurately reflected their style and attitude, and that would successfully appeal to the DJ community. We came up with a solution that incorporated the colors and moods of the DJ nightlife, while still maintaining a professional, sleek, and technically oriented website that is easy to navigate for multiple purposes. 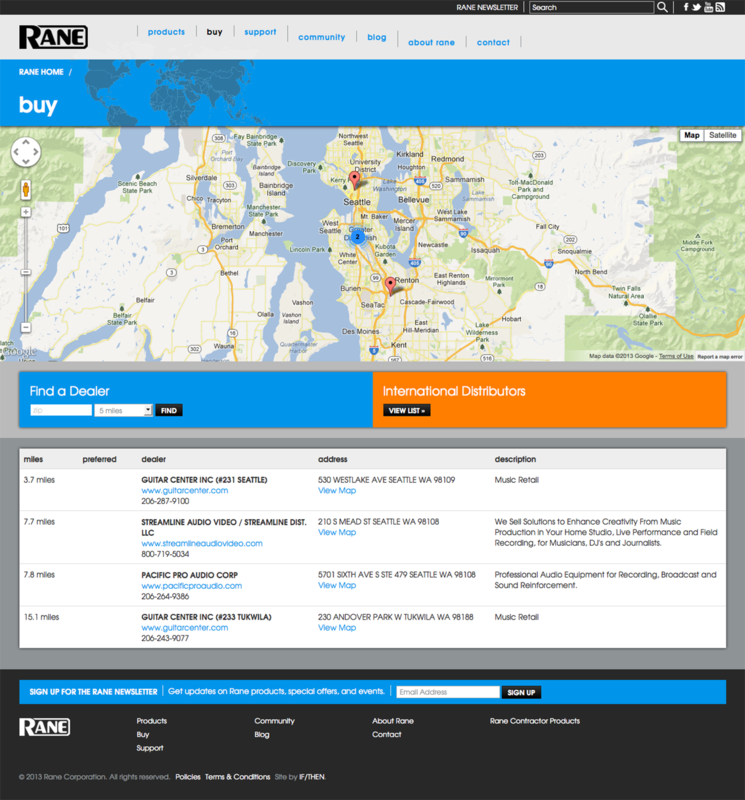 Whether exploring the DJ community or looking to buy new equipment, the user is able to quickly find what they need. The product pages are both attractive and technical, jam-packed with well-organized information, while the blog and community pages allow for more of a social experience. The website was extremely well-received.